Dr. Bradley Thomas is board certified in Diagnostic Radiology and Neuroradiology, with a medical career of nearly 20 years. 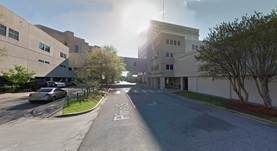 He graduated from the University of Alabama School of Medicine, did an internship at Baptist Health System and completed his residency at the Vanderbilt University, where he also underwent a fellowship training program. Dr. Thomas has contributed to a series of medical publications over the course of his practice experience and is also a member of several associations, including the American Roentgen Ray Society, the American Society of Spine Radiology, the Society of Interventional Radiology, as well as the American College of Radiology. 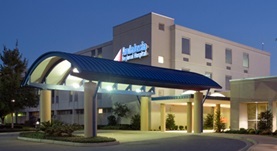 Dr. Bradley Thomas is currently practicing at Andalusia Regional Hospital and Jackson Hospital in Alabama. Dr. Bradley Thomas has contributed to 3 publications. Quantitative carotid calcium scoring and cerebral ischemia - a pilot study and review of recent literature. Thomas, B. P., Larson Iii, T. C.; Cerebrovasc Dis. 2007. CT virtual endoscopy in the evaluation of large airway disease: review. Thomas, B.P., Strother, M.K., Donnelly, E.F., Worrell, J.A. ; AJR Am J Roentgenol. 2009 Mar. Active spontaneous decompression of a suprasellar-prepontine arachnoid cyst detected with routine magnetic resonance imaging. Case report. Thomas, B.P., Pearson, M.M., Wushensky, C.A. ; J Neurosurg Pediatr. 2009-01-01.